Giant Sparrow & Edith Finch at Paris Games Week! Giant Sparrow’s Creative Director Ian Dallas and Artist (and resident Frenchman) Theo Aretos are currently on-hand at Sony’s Paris Games Week showcasing and taking interviews for our upcoming game, What Remains of Edith Finch. We’ve long been excited to bring our collection of interactive short stories to the players of Paris, working weeks in advance to record and implement all new French dialogue for Edith and the many members of the Finch family. While the game takes place in the United States’ Pacific Northwest, hearing Edith speak French as she explores her towering home has felt both rewarding and oddly appropriate, since many of the diverse stories in the game are inspired by our travels abroad! Whether fan or journalist, if you’re at Paris Games Week, we look forward to you experiencing it yourself by joining Ian and Theo in playing a near hour-long hands-on demo of What Remains of Edith Finch! We hope to see you there! 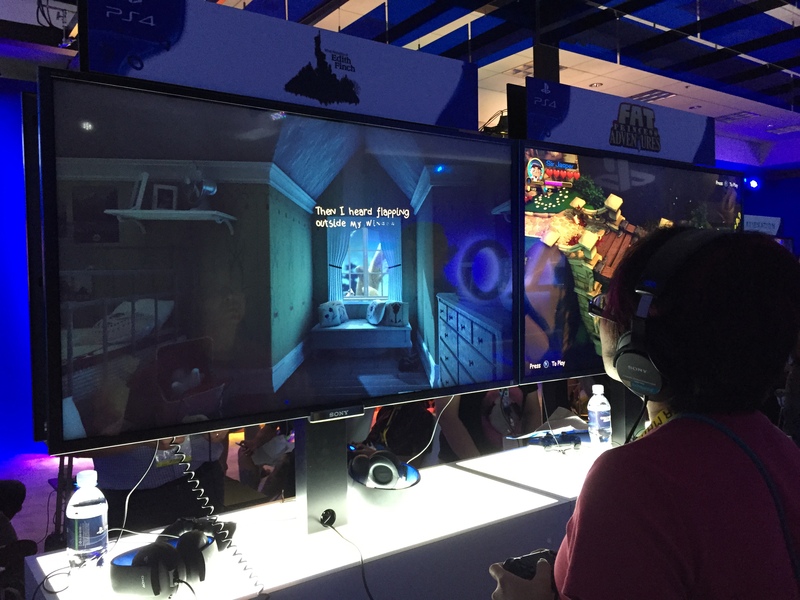 October 28, 2015	| Comments Off on Giant Sparrow & Edith Finch at Paris Games Week! We’re excited to announce that What Remains of Edith Finch will be playable November 7th at Day Of The Devs, a free event in San Francisco bringing fans and developers together for a day of great games, music, art, and food! What better way to celebrate a game about the mysterious deaths of a family in Washington State, than at a party named after The Day of the Dead? For details on the event, including a full list of the many great games that will be playable there, visit the Day of the Devs official website. We hope to see you there, and look forward to sharing more of our game with you! You can read more of our favorite press write-ups, as well as watch interviews and gameplay demos with director Ian Dallas below. If this is your first time hearing about our game, you can check out our announcement post, or watch our most recent (and rather cryptic) trailer. Thanks for reading. We look forward to sharing more with you soon! For anyone who’s been waiting to hear more about our next game, What Remains of Edith Finch, it’s a good day today. First up, we’ve got a new trailer that shows off a bit more of the Finch house and includes a couple of new (somewhat obscured) shots of gameplay. Along with the trailer we also released some new screenshots. And we did a nice, long interview about the game up on Sony’s European blog and a completely different, but also nice, short interview on Sony’s American blog. We’ve been working on our next game for the last two years but today is the first time we’re able to start talking about it. We’re super excited! It’s called What Remains of Edith Finch and it’s a collection of short stories about a cursed family in Washington State. Each story is about a different member of the Finch family and every story ends with that family member’s death. The stories are all played from a first-person perspective but the gameplay, the setting and the tone of the stories are all quite different, mirroring the family members themselves. As a player you’ll follow Edith Finch as she explores the history of her family and tries to figure out why she’s the last Finch left alive. On the surface our new game looks pretty different from our first one. For The Unfinished Swan our goal was to evoke the awe and wonder of classic children’s books. With What Remains of Edith Finch we’re creating an experience that feels like opening a book of short stories and particularly the genre of Weird Fiction. But I think both games have a very similar core: what it feels like to be a child, encountering forces beyond your ability to understand or control. Thank you to all our fans for being so patient for the last two years! We’re not sure yet when the game will be released but we’re expecting sometime in 2016. It’ll be available exclusively for the PlayStation 4. The Unfinished Swan is now available on PS4 and Vita! Two years after we released The Unfinished Swan on PlayStation 3 it’s now available on two new platforms: PlayStation 4 and the PlayStation Vita! It’s the same game, just better. The framerate is better (it’s now 60 fps), the resolution is better (it’s now 1080p), and even the music just sounds… better. And for anyone who bought the game when it came out originally on PlayStation 3, you can download the new versions for free. Thanks to our friends at Sony Santa Monica and Armature Studios for their fantastic work on the new version! 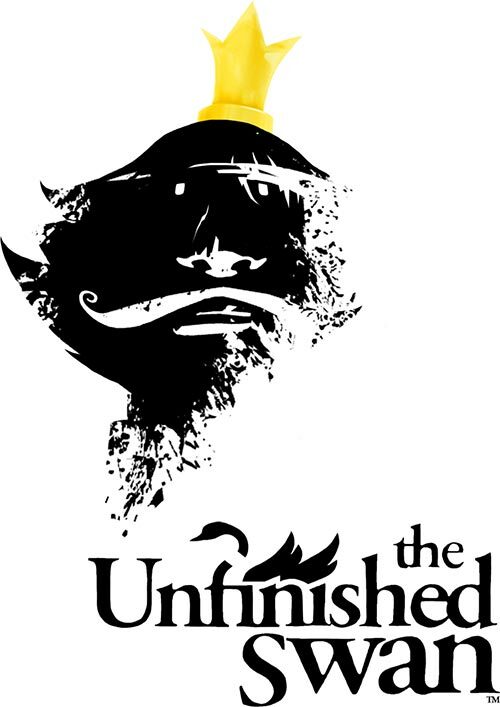 At 2:00 pm PST today, Tuesday October 28th, we’ll be doing a show on Twitch talking about our first game, The Unfinished Swan. You can find the Twitch stream here (or at the bottom of this post). In addition to Q&A about the game’s development we’ll also look at some of the original prototypes, talk about what’s new for the PS4 and Vita versions that are coming out this week, and do some developer commentary while we play through the first chapter of the game. In the studio we’ll have Ian Dallas (Creative Director), Ben Esposito (Designer), Cory Davis (Artist), and Juli Frankel (the game’s narrator and Ian’s aunt). What have we been doing for the past year? We’re still working on our new game which still hasn’t been announced yet. So it’s kinda hard to talk about. But for anyone who’s wondering if we’re still alive: yes, we are! Our team shrunk a bit after we wrapped up The Unfinished Swan but we’ve been growing steadily since then. Here’s a timelapse of our team lunches for 2013 (every Wednesday we all go out to a new place), which shows the team expanding from a core of 3 up to 9 people, which is where we’re at today. Looking forward to showing off our new game at some point — thanks for being so patient! February 9, 2014	| Comments Off on What have we been doing for the past year?